This is the one most people have been waiting for. The model was unveiled at Intermot on October 2 with an 80s-inspired look meant as a tribute to its very first generation. This Katana won’t have anything to do with the discontinued model from 2006—this revival borrows the GSX-R1000’s 999cc four inline engine which will produce 148 horsepower for 474 lb. 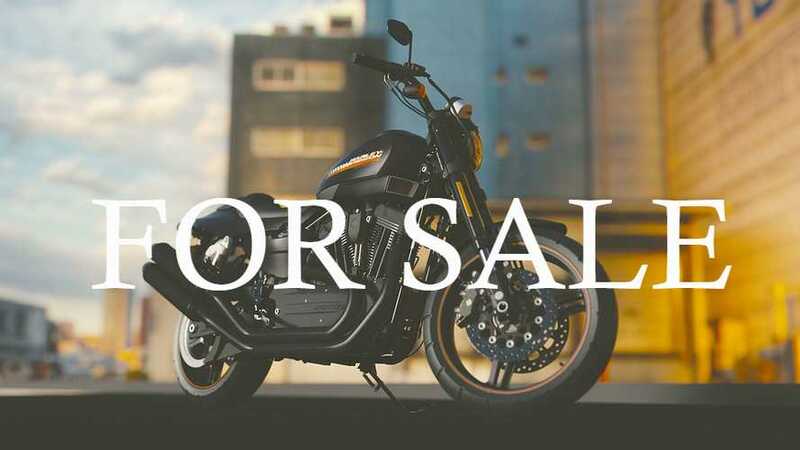 This is only the first look we get of the bike, the model isn’t to be expected until the 2020 model-year. 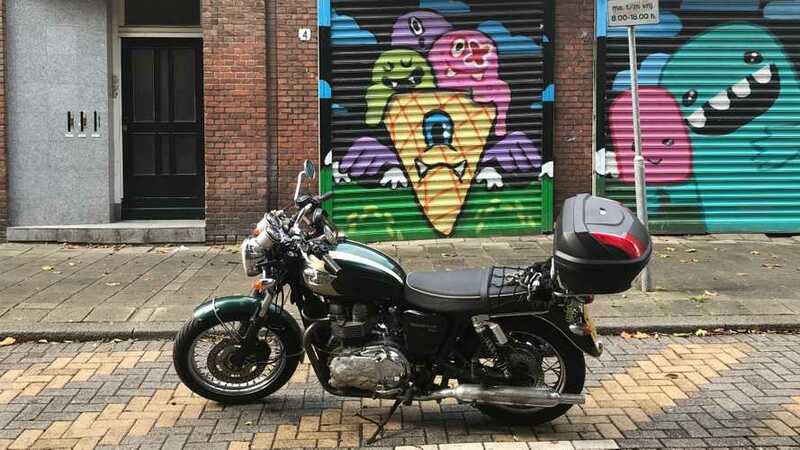 There was definitely something retro missing from the Suzuki lineup with only the TU250X and the VanVan 200 to carry the vintage torch. 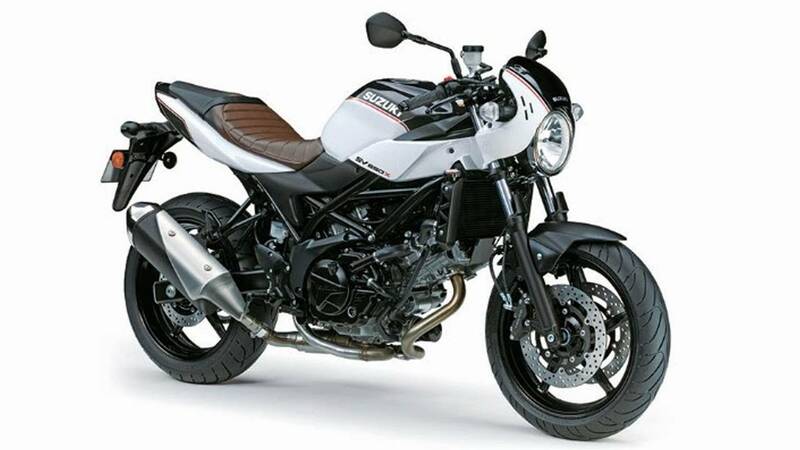 For 2019, the maker has given a retro twist to the new-generation SV650. The cafe-styled “X” is basically a standard SV with a cowl, a stitched saddle and clip-ons. All the specs remain the same. 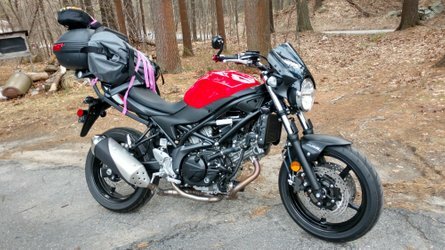 The old school look costs an extra $900 over the standard SV650 ABS. The SV lineup has also been updated with new four-piston Tokico callipers and floating 290mm front disks. 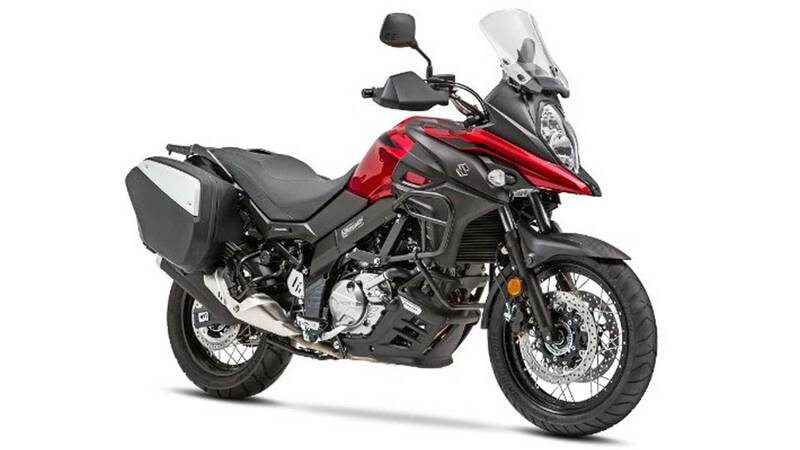 The bigger V-Strom 1000XT also gets a new trim level with the new Adventure sitting at the top of the range. 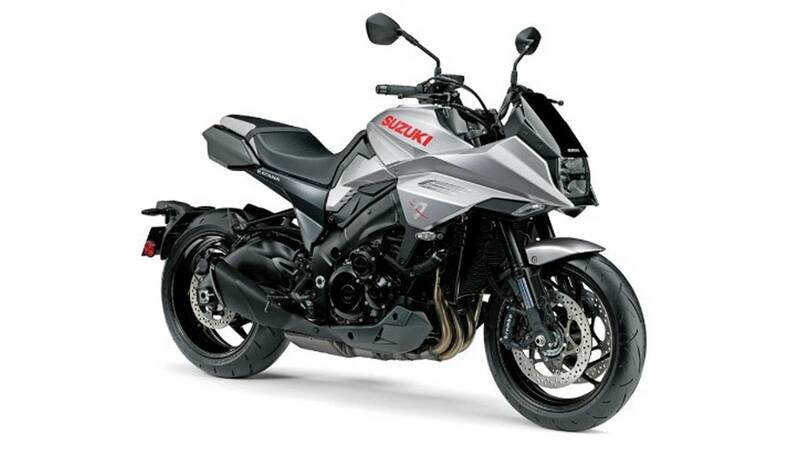 The model receives standard hand guards, centerstand, aluminium panniers, as well as heated grips. 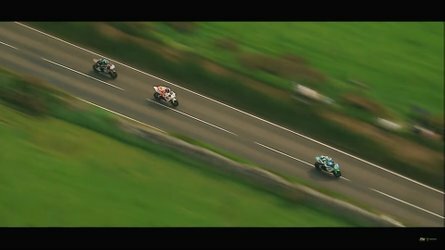 Like the updated entry-level V-Strom 1000, the Adventure gets a five-axis IMU that communicates with the Motion Track anti-lock and combined brake system as well as a multi-function display that allows the rider to select the traction control modes. 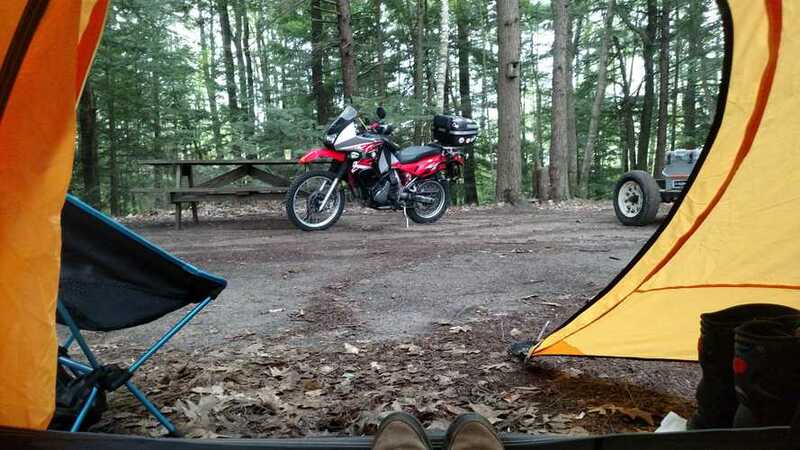 The V-Strom just became even more versatile. For 2019, Suzuki introduces new variants of the V-Strom 650XT and 1000XT. The 650 XT Touring receives ADV tires fitted on aluminium wheels, a lower engine cowl, hand guards, side cases as well as a centerstand. It also features such technologies as advanced traction control, easy start system, low rpm assist and ABS. 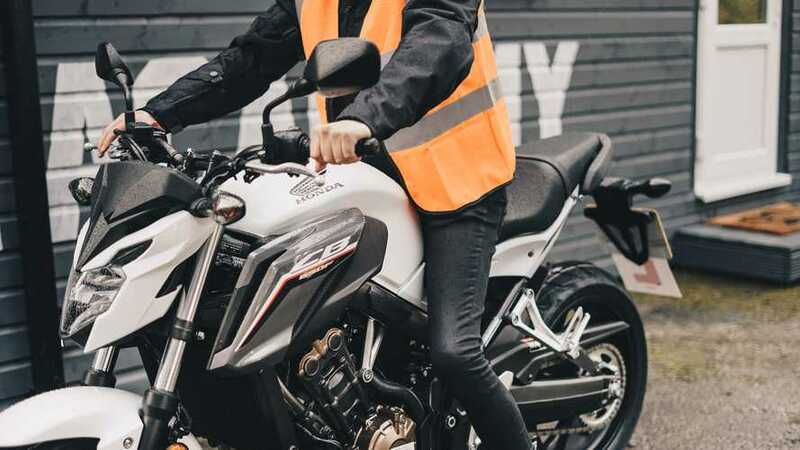 The 2019 V-Strom 650 and 650XT receive a few updates as well including a new white and blue color scheme and new hazard warning light. Suzuki’s famed Gixxer lineup also receives a few updates of its own, starting with the track-friendly GSXR-1000R. The R gets a set of stainless steel front brake lines hooked to its Brembo brakes with Motion Track ABS. It also receives a new performance adjsutable swingarm pivot. For 2019, the GSX-R1000X also receives the Motion Track ABS system as well and now comes standard with Suzuki’s bi-directional quick shift, teamed up with ten different traction modes and launch control. 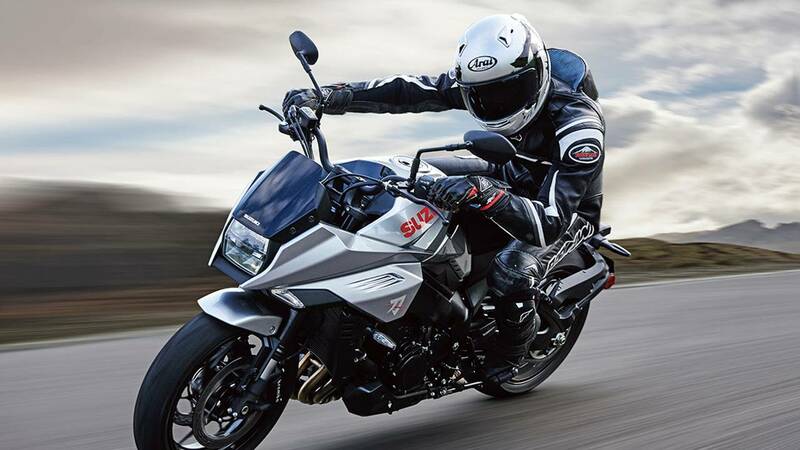 The GSX-S1000FZ has so far been a GSX-1S000F in desguise. Read: a 1000F with a different paint job. 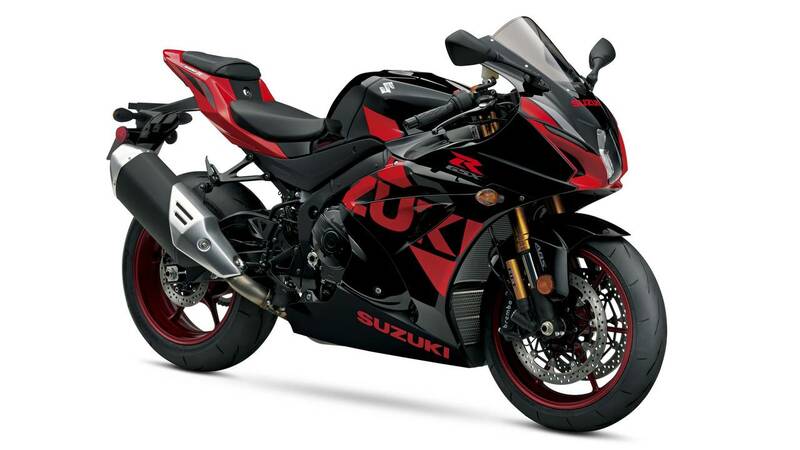 The engine is the same inline four as the 1-liter GSX-R and the ZF offers the exact same specs as the F, right down to the weight. 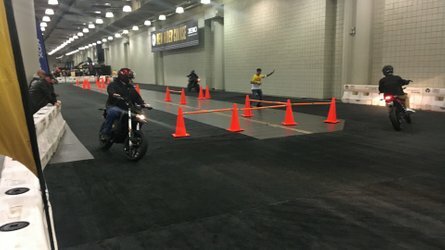 For next year, it looks like Suzuki has dared a few changes to the ZF: the bike gets a new throttle mechanism, and of course, a new color scheme. 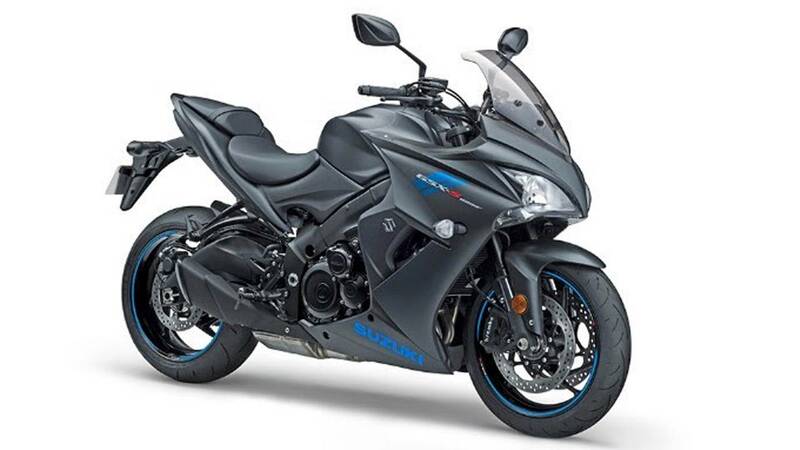 If you really like a blacked out look with matte black paint, you’ll love the 2019 GSX-S1000ZF for an extra $300. Suzuki famed bestial GSX-1300R, or Hayabusa, gets a design refresh with lines apparently inspired by the peregrine falcon. The 2019 model year is available in matte grey with contrasting red graphics or in black paint with silver accents. 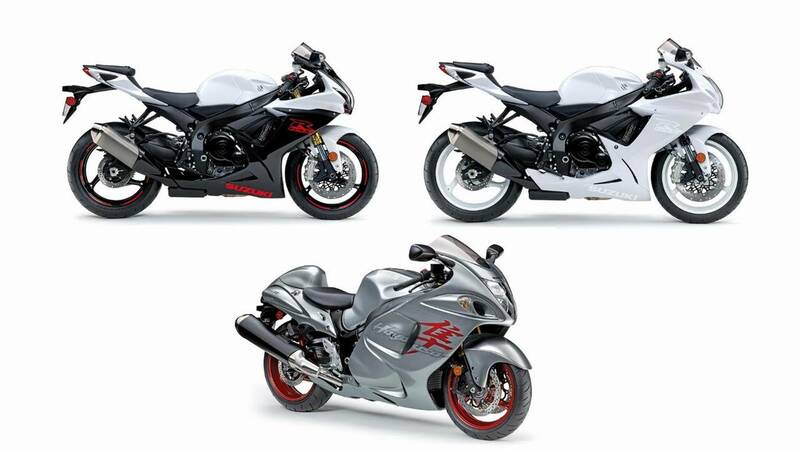 The two GSX-R babies, the 750 and the 600 also get an updated look with new colors and graphics. 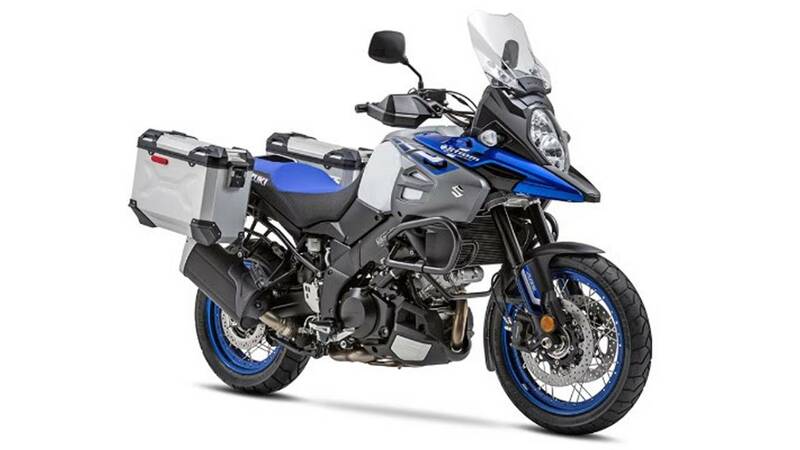 While the updated 1-liter models can be expected in the showrooms in February 2019, the 600 and 750 are coming our way as early as December. It’s been a busy couple of weeks for Suzuki, especially with the Intermot unveil of the much anticipated Katana. 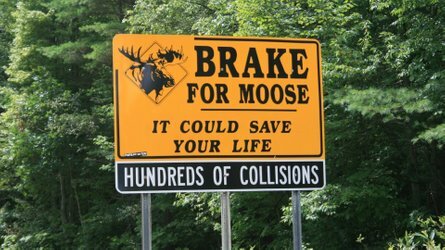 However, that’s not the only thing new in the Suzuki lineup. Though the Katana has been getting most of the attention, there’s an entire fleet of upgrades and updtes coming for 2019, including a new cafe racer-style SV650 and a new V-Strom. Here’s what’s new under the Suzuki sun.